As frequent visitors to Port Douglas, we set out to find a builder to build our dream home with intentions of eventually relocating. Short trips up from Melbourne were combined with visits to display homes to find exactly what we wanted. From the moment we walked in to the Hamilton display home in Craiglie we were impressed, the finish and workmanship was perfect and the floor plan was so liveable for the climate. Charmaine and her team were so accommodating to any plan and inclusion changes we made, and provided a wealth of knowledge in assisting us to make decisions when finalising these changes. 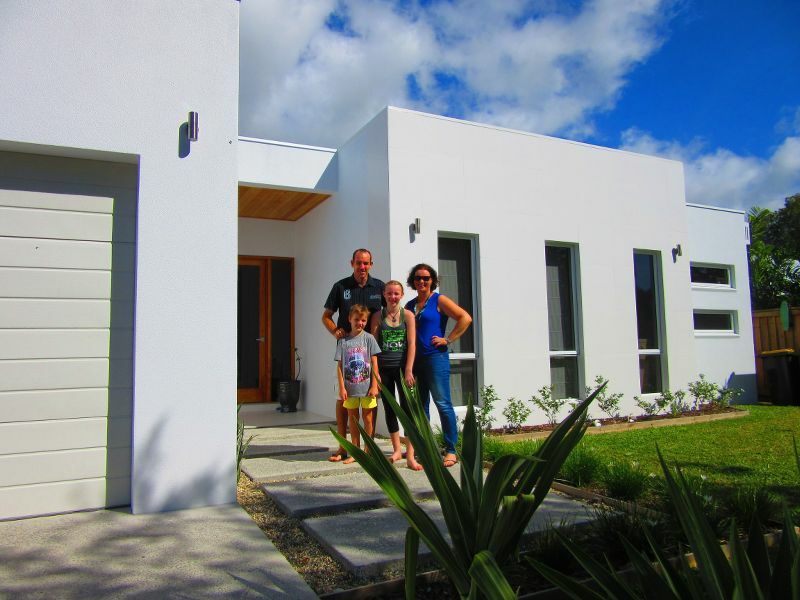 We thought building a house interstate would be stressful but with weekly progress updates provided we felt so comfortable with Austart, despite being 3000 kilometres away. The build itself was painless and timely and on handover day we were absolutely blown away by the quality of the build. We could not recommend Charmaine and her team more highly to anyone thinking about building, such a professional and personal business that make you feel like you are their only client. Such was our experience, we are already on the hunt for another block of land to build another beautiful home with Austart Homes. Thank you so much for everything. The guys from Bradnam’s came last week and fixed the shower screen. Usually when deciding who you are going to choose to build your investment property with is a hard decision. So many factors like price, inclusions, value for money, approachability of the builder, openness to new ideas and changes - all play a part. For us this decision was a no brainer - having previously built with Austart Homes we have always had our expectations exceeded and a final product that everyone comments on. Once again you have not disappointed! Even before the house was finished friends were driving past saying how fabulous it looked! We cannot thank you enough for the time and dedication you put into knowing your customers needs and wants and then building a home that truly reflects your company motto of 'value and quality matters'. We would not hesitate in recommending Austart to anyone - your service and homes are second to none! Deciding to build a winter home in the tropics, remotely from sydney, seemed a challenging exercise, to put it mildly… I met with various architects based in Cairns, most of whom were unable to “get” my vision for my site near Port Douglas, then moved onto local builders, inspecting the various display homes scattered around northern Cairns… and one company stood out— Austart - and now having spent my first winter in the house, I am delighted I chose to go with Charmaine and Phill. not only have they delivered a fantastic quality house, completely tailored to my rather specific requirements, but have been so helpful in areas outside the normal role of the house builder - managing the demolition of the old house, making excellent suggestions re the design of the house to suit the harsh beach side environment, personally overseeing the smooth , on-time completion of the house, and being readily available to assist with any questions post taking possession of the house. they made the whole process a stress-free and enjoyable adventure, and were at all times an absolute pleasure to work with. definitely deserving of 5+ stars!!! 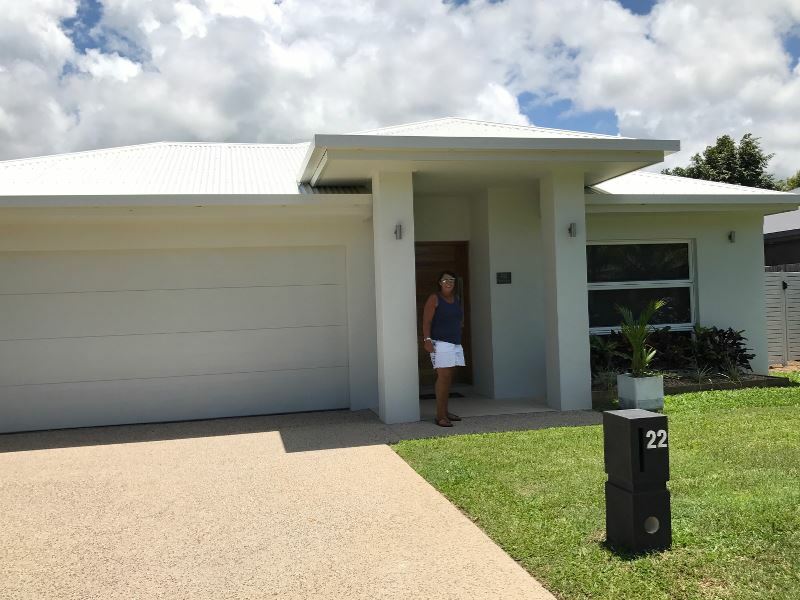 I have just completed my home construction in Mossman with Austart Homes and very happy that I eventually chose Austart Homes out of all the rest of the builders available. I had approached several other building companies in and around the Mossman and Cairns area. Whilst they appeared helpful at first – it soon became apparent that to build in Mossman was going to be difficult for the builder – not taking my situation into account and assisting me. It was not an issue for Austart Homes to build in Mossman and they were most helpful in all aspects of my chosen design and upfront amendments to the plan. I was very impressed with the quality of the Austart display homes of which I travelled to inspect several in the wider Cairns area. Their vast range of designs made for easy North Queensland lifestyle living. I found the Austart staff to be very professional, with a great team working for the company. Consultative guidance, meetings and follow up was first class. For the design and size of my home – I found Austart very competitive and my experience was they ticked all the boxes. They completed my home some 5 weeks in advance of which I was very impressed yet keeping me informed all the way through the process. Would I build again using Austart Homes – Absolutely YES. I could not fault Austart Homes. I have no hesitation in recommending Austart Homes to anyone wanting to build their dream home. Thank you Austart Homes – you made it easy for me. Thank you for another beautiful home. Our second home build with your Austart Homes franchise and again our expectations completely satisfied. Your flexability as a building company to allow Luke a Cabinet Maker himself to construct our kitchen and vanitys is the main reasons we choose to build with you but one of many. The architectal look of the home we built is amazing without the huge expense and we love the Gazebo you added to the construrction it's so perfectly matched. We wish you every success for many more years in the building industry. Hello Charmaine, Just wanted to send a quick note to say thanks very much for helping out with the initial planning and completion of my house in Mossman. The whole process from start to finish was way beyond what I would have expected in a new house, in that during the initial planning stages even when I asked for variations to the plans you didn’t hesitate to accommodate these. I appreciated being kept updated on the progress at all stages of the building. I guess what I am saying is that I am very happy with the house being built within the timeframe allowed and at a great price. I would be happy if you wanted to use me as a reference to other people thinking of building with you. Regards, Mark Trezise 13/03/12"